Pocitos Plaza는 부유층 지역인 포시토스에 위치한 숙박 시설로, 몬테비데오 중심부에서 5분 거리에 있으며, 해변에서 불과 400m 떨어져 있습니다. 무료 Wi-Fi가 제공되며, 구내에 유료 전용 주차장이 마련되어 있습니다. 에어컨이 완비된 Pocitos Hotel의 객실은 편안한 침대와 헤어드라이어가 비치된 전용 욕실을 갖추고 있습니다. 일부 객실에는 케이블 TV 및 업무용 책상이 놓인 휴식 공간과 발코니가 구비되어 있습니다. 호텔의 부대 시설로는 사우나, 일광욕실, 테라스 및 현지 음료와 사교를 즐길 수 있는 바 등이 있습니다. 호텔은 매일 무료 이브닝 차 메리엔다를 제공합니다. 호텔에서 단 250m 거리에 있는 오션사이드 불러바드(Oceanside Boulevard)를 방문하여 레스토랑과 상점이 즐비한 거리를 걸어보십시오. 포시토스 해변은 불과 400m 떨어져 있습니다. 현지 세법에 따라 우루과이 시민은 10%의 추가 요금을 지불하셔야 합니다. 이 요금은 총 예약 요금에 자동으로 합산되지 않습니다. 하프보드(1일 2식 제공) 요금에는 아침 식사와 저녁 식사(메인 코스와 디저트)가 포함되어 있습니다. 음료는 포함되어 있지 않습니다. 저녁 식사는 19:30~22:00에 제공됩니다. 이 숙소는 2013년에 새롭게 단장되었습니다. We stayed 2 nights in the hotel with our 2.5 year old daughter. We booked larger room which had 1 king size and one smaller bed and this worked very well. Room was on higher floors so there was no significant noise from the streets. If you are sensitive you might want to ask for a room facing to the yard. Room was big and beds were good. Breakfast is not the best one, but gets you going. Staff was good and helpful. There are lot of restaurants near by and to go to old town you can take a bus. 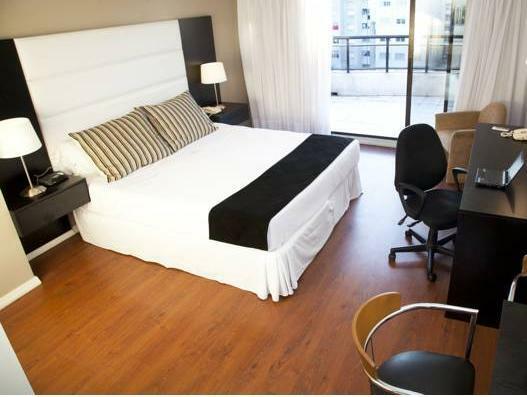 We found a great price on agoda.com, so decided to treat ourselves to this hotel for our last night in Montevideo. The location isn't very central, but it is close to the beach. The rooms and hotel were modern, had wifi and the beds were comfortable. The air conditioner made some noise, but it didn't bother us. Our room didn't have a very good view, but maybe rooms up higher do. The staff were friendly and helpful. For us, the best part was the breakfast. Most of the breakfasts that we had in Argentina and Uruguay were quite limited in terms of choice, especially when it came to savory options, but this hotel had great choices across the board. At the price paid we would decline to recommend. At original price yes. 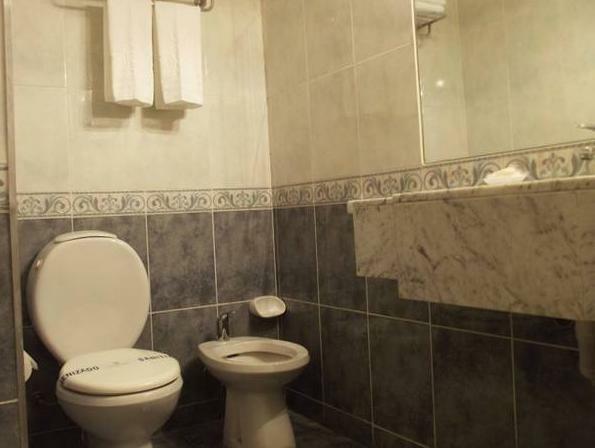 Located close to the beach, nice restaurants and pubs around, excellent staff, good rooms, beds and very clean, no noise at all at night, airco, wifi and cable vision in room. Just a bit further away from the old city center and the shopping mall but therefore quiet at night, no noise from the street. Very good restaurants within only a couple of blocks away (La Otra and more), Breakfast is standard, staff is great, service with a smile and fast. Average taxi costs around 100-120 pesos Uruguayos single trip. Good location, great location in a good neighborhood, near the river board walk. Good for a morning or an evening jog or walk. I found the staff very helpful. I came early in the morning and I got my clean room right away, and they allowed me to eat breakfast as well. The staff also signed me up at my request for a city tour. Everything was ready for me upon my arrival. This hotel is well situated, but its has lack of hospitality. people they do their job, but they are not willing to impress nobody. This hotel has nice rooms, helpful staff, and prompt service. 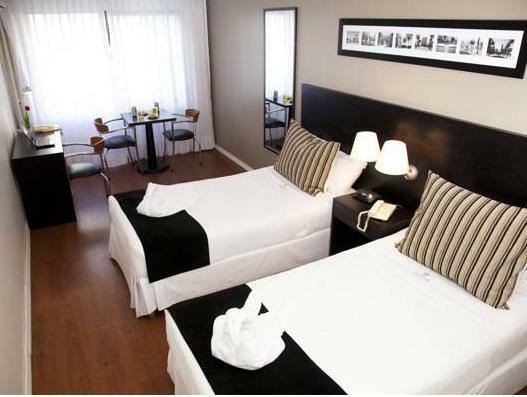 This hotel has very good rooms and is located in the Pocitos neighborhood, which is a nice neighborhood in Montevideo. Expect nice rooms and good service, with them responding in good time to requests and being able to fulfill most needs promptly. They do not provide the in-your-face service of a Four Seasons or Ritz, but it would be out of place in a hotel like this. It is great for what it is - without a doubt a place that I will stay at in the future when in Montevideo. very nice hotel. rooms are clean. We didn't have any problems during our stay. Staff is very nice and helpful. receptionist, was very quick for reserving the Sauna or something else he was on top of it. They have very nice spa at the top of the Hotel with a beautifull view on the Ocen. I'm definitely going to stay at this hotel when we are in Montevideo and I would recommend it to my friends. Algo tan simple y útil como el enchufe del baño no funcionaba de modoque los accesorios eléctricos que uno usa en el baño se debieron usar en el dormitorio y sin espejo lo que incomoda. El desayuno no es malo pero puede ser un poco mas variado ( los brasileños hacían comentarios poco halagueños sobre esta comida en la que ellos son famosos)Además el personal que está a cargo del desayuno es poco atento no se preocupa de que hayan vasos siempre o cubiertos o que no falte leche,tampoco retiran nada de la mesa de modo que como éstas son pequeñas uno termina tomando desayuno entre loza sucia lo queno es grato. no muchas debilidades. Es poco edificio para ser 4 estrellas. El gimnasio es (lo llaman spa) es extremadamente reducido. El desayuno es algo que podrian mejorar. Me gusto el hotel pór su ubicacion y porque el personal es muy amistoso. Lo de las 4 estrellas sta eso si un pco sobredimensionado . Pero volveria ir de nuevo, a un precio un poco menor. Hotellet ligger i et forholdsvis stille og litt bedre område, av det støyfulle Montevideo. God middelklasse bor i leiligheter med elegante innganger og portner i nesten alle hus. Dette området er noe tryggere enn Down Town og i den gamle bydel, med mindre tigging her. Kort vei til fin badestrand midt i byen, og bra med restautanter i nærområdet. Hotellets 4 stjerner synes jeg 3 er nok. Hotellet ligger i naerheten til fin badestrand, inne i byen, men ulempen her at det ofte blaaser sterk vind. Busser gaar like utenfor hotellet og inn til sentrum og gamle byen. bra restauranter og butikker fins like i naerheten i gang avstand. I stedet for aa ta taxi inn til downtown er det sikrere og dessuten billigere aa bare ta buss som stopper 20 m fra hotellinngangen og gaar med faa minutters mellomrom. Náo tenha medo de pegar taxi. O custo compensa muito para se locomover na cidade e principalmente se o tempo è curto.